What’s better than a wedding in a tropical location with beautiful views of the beach and the stunning natural surroundings? A couple’s wedding day marks the beginning of a new life together and this is a very special day to be shared with friends and family. There is a lot of pressure put on couple’s planning their wedding, but all of this fear and worry easily dissipates knowing that you are in good hands when planning your wedding day in Bonita Springs. There are numerous hotels, country clubs and luxurious venues spread throughout the community that offer outstanding accommodations and packages for couples looking to tie the know in beautiful Bonita Springs. Whether you want a small ceremony to be shared with your closest friends and family or an elaborate event right on the beautiful beach you are sure to be more than satisfied with the wedding venues in Bonita Springs. There’s no better way to begin your life as newly married husband and wife than at these top five wedding reception locations in Bonita Springs! The Bonita Bay Club is discreetly tucked into the luscious tropical landscape of the outstanding Bonita Bay Community. 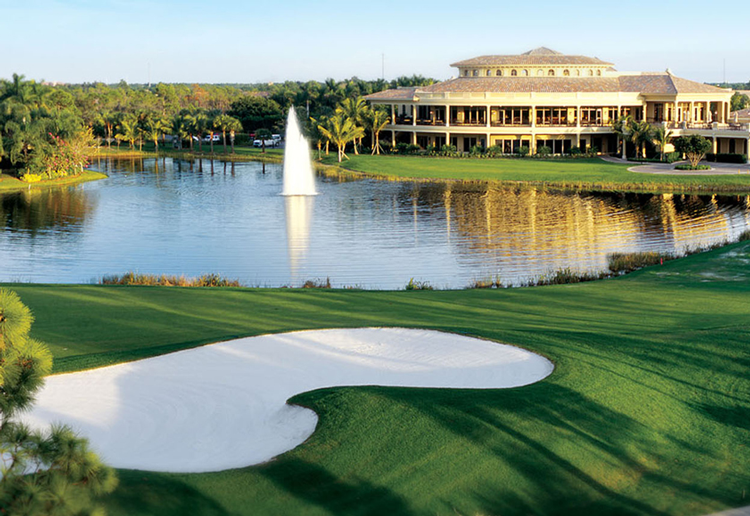 This is the only private country club in Southwest Florida and it offers some of the most outstanding accommodations. The country club boasts award-winning facilities and a wide range of options for couples planning their wedding day. The staff at the Bonita Bay Club is dedicated and committed to making sure that every detail of your memorable day is executed flawlessly. The professional staff, expert culinary team and wonderful vendors are at your service to ensure that all of your unique arrangements are handled to your specifications from start to finish. From the rehearsal dinner, ceremony, reception and brunch you can find the perfect location on the beach, in the luscious outdoors or in the exquisitely designed rooms. Your wedding day will truly be magical at the Bonita Bay Club. The Hyatt in Bonita Springs specializes in making your special event the best day of your life. Whether you are planning a rehearsal dinner, the entire wedding or your honeymoon at the Hyatt you won’t be disappointed by the wide range of options available to you. Your wedding day is the biggest day of your life and the staff at the Hyatt Regency Coconut Point Resort & Spa will make sure that it is as unforgettable as you imagined it to be. The staff is ready with a list of recommended vendors and would be more than happy to help you plan every aspect of your special day. The Spanish Wells Golf & Country Club is nestled in beautiful Bonita Springs and is right near some of the most sought after beaches in the world. The club can make arrangements to accommodate to your every need on your special day. You can choose from a variety of venues, delicious dining experiences for your guests and so much more. You can set your wedding day at the spectacular private clubhouse, on the luscious golf course or around the beautiful pool deck. There are also many other options you can inquire about when you speak with the staff onsite. The Pink Shell Beach Resort & Marina in Fort Meyers is one of the most popular wedding destinations near Bonita Springs. Choose from a casual and fun event to a formal and special occasion that will leave your guests complimenting you for years to come. Imagine your wedding taking place on the private tropical beach or on the luscious and beautifully landscaped pool deck. You can also choose to set your special day in the majestic grand ballroom. Whatever you have pictured and planned for your special day the staff at the Pink Shell Beach Resort & Marina is here to make it happen. The Colonial Country Club is known as offering the best “All Inclusive Wedding Packages” in Southwest Florida. Your event will truly be something to remember to years to come when celebrating at the Colonial Country Club. The venue is known for its elegant ballrooms, exceptional dining options, panoramic and breathtaking views and the perfect setting for any special celebration. The staff is committed to helping you plan and coordinate the wedding of your dreams. Need More Info on Bonita Springs? Whether you are planning your dream wedding or looking to renew your vows with your loved one, Bonita Springs and the local wedding venues are the perfect destination for your special event. If you are interested in learning more about the local amenities and accommodations or if you are interested in real estate options for your guests or for your honeymoon connect with us today so we can assist you with all of your needs.